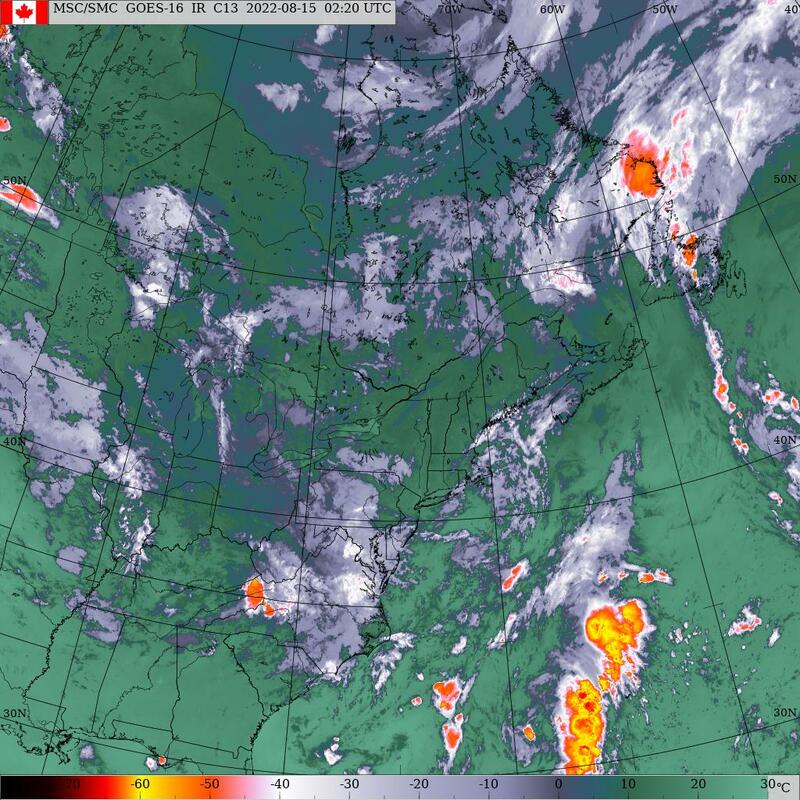 Snow and rain expected tonight/tomorrow across PEI..
Wednesday, January 23rd 7:15am.. A ridge of high pressure is currently crossing the Maritimes resulting in clear skies. Clouds will quickly invade the region this morning in advance of an approaching warm front with snow developing by late afternoon. The snow will change over to rain once the front moves across the island and much milder air spreads across the island. Low pressure will ripple NE along the frontal boundary passing across northern NB/Gaspe Bay region Thursday night. Heavy rain will accompany this feature. The associated cold front will then sweep eastward across the Maritimes near dawn on Friday morning which will usher in a return to colder air on W-NW winds. High pressure in control for Saturday then some snow on Sunday/Monday as another low pressure system approaches from Ontario. Precipitation.. Snow begins near suppertime today changing to rain after midnight giving 5-10 cms snow. Rain at times heavy for tomorrow ending near dawn on Friday morning giving near 10-20 mms. Rainfall and snowfall amounts will be highest up west closer to the storm track. Temperatures.. Warm-up begins today tonight through tomorrow peaking late tomorrow evening near +10. Temps then begin to fall before dawn Friday morning with the cold frontal passage dropping to 0 by breakfast then steady. No real cold air this period with another warm-up for Monday and Wednesday. Wind.. Increasing southerly winds today, brisk southerlies tomorrow shifting to westerly near dawn on Friday morning. Hazards.. Accumulating snow later today (5-10cms) followed by rain tonight into tomorrow. Rain and snow-melt will give water issues ie street flooding, ditch flooding. Wet/slushie surfaces will refreeze Friday morning. Watches/warnings.. Special weatehr statement in effect. Tonight.. Snow changing to rain after midnight, brisk south winds, tempos rising to 0 by midnight and +2 by dawn. Tomorrow.. Rain, brisk south winds, temps rising to +10 by midnight. Friday.. Rain ending before dawn, then flurries, clearing late. Southerly winds shift to westerly before dawn , temps falling to 0 by breakfast then steady.